The Metropolitan Museum of Art in New York City has provided access to 394,718 works of art as part of its Online Collection. One can now download a high-resolution image of their favorite Renoir, Matisse, Gauguin or any other work they find on the list for free. Besides images of famous paintings, the collection contains photographs of statues, furniture, clothes and other artifacts. 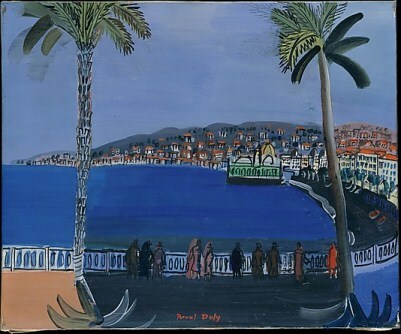 Another great benefit of the collection is that online users can also see many works that are not currently on view in the museum’s showrooms, such as Dusk at La Baie des Anges by Raoul Dufy. A young man from Veliky Novgorod, Russia, proposed to his girlfriend in a most unconventional way. He spelled “marry me” (Rus. 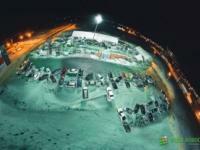 – “выходи за меня”) with 65 actual-size cars put together so as to make the phrase, which he intended to be read from 100 meters’ height. To gather so many cars in one place, Artyom had called on all his friends, but the necessary number of automobiles had not been met. Then the young man turned to social networks and got overwhelming response. More people showed up at the fixed time than was required, and … the girl said “Yes”. The original news piece (in Russian). The video report in Russian. Tip off by Dheeraj Gautam. Like the idea of being able to pick your favorite classic and download it right into your smartphone? Now possible with the new digital library set up in the center of Minsk, Belarus. 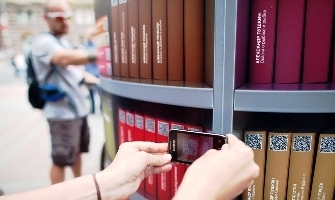 By browsing through the dummy shelves, passers-by can choose any book, scan the QR code and download the piece in a number of formats. And, it’s completely free. Works of Dostoyevsky, Tolstoy, London, Christie and many other world-known authors have been among the favorites. The library will stay open around the clock through November 17th, 2013. 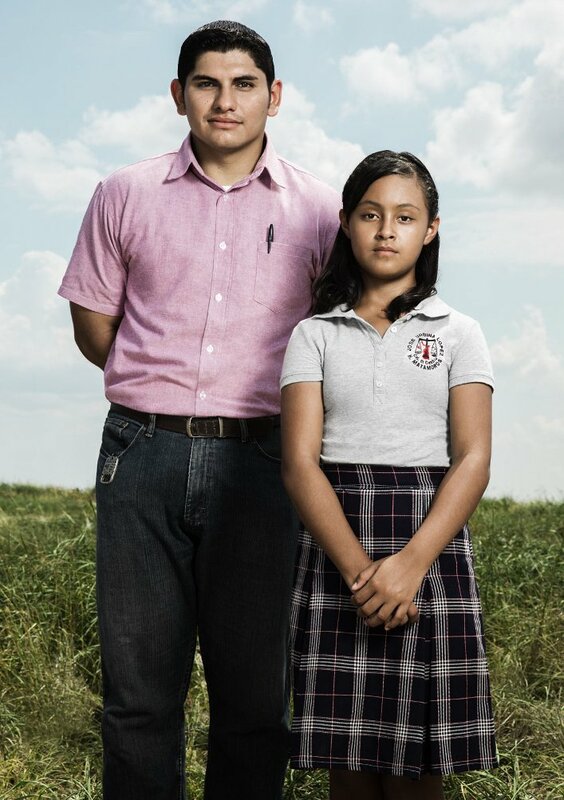 This week, the eyes of the media were glued to 12-year-old Paloma Noyola Bueno, a grade school student from the town of Matamoros, Mexico. The girl became a national sensation last year when she attained the highest math score in the country. The Wired magazine revisited the girl’s alma mater this year, just weeks before the math contest organized by Monterrey Institute of Technology in which Paloma were to take part. Although Ms. Noyola Bueno did not win this year, she caused another wave of media interest thanks to her distinguished math talents. The secret behind Paloma’s success appears to be in the teaching methods used by her school teacher, the 31-year-old Sergio Juárez Correa. When he started working, the young teacher decided to implement the SOLE (self organized learning environments) teaching method by TED Prize winner Sugata Mitra. The method was a success and resulted in excellent achievements of the entire Sergio Juárez Correa’s class, of which Paloma Noyola was the brightest. Juárez Correa was impressed. But he was even more intrigued by Paloma. During these experiments, he noticed that she almost always came up with the answer immediately. Sometimes she explained things to her tablemates, other times she kept the answer to herself. Nobody had told him that she had an unusual gift. Yet even when he gave the class difficult questions, she quickly jotted down the answers. To test her limits, he challenged the class with a problem he was sure would stump her. He told the story of Carl Friedrich Gauss, the famous German mathematician, who was born in 1777. When Gauss was a schoolboy, one of his teachers asked the class to add up every number between 1 and 100. It was supposed to take an hour, but Gauss had the answer almost instantly. “Does anyone know how he did this?” Juárez Correa asked. A few students started trying to add up the numbers and soon realized it would take a long time. Paloma, working with her group, carefully wrote out a few sequences and looked at them for a moment. Then she raised her hand. Juárez Correa felt a chill. He’d never encountered a student with so much innate ability. He squatted next to her and asked why she hadn’t expressed much interest in math in the past, since she was clearly good at it. “Because no one made it this interesting,” she said. The Island of To-shima is Japan gives protection to the dolphins who come into its waters. It all started in 1995 when a dolphin gave birth near the shoes of the island. As of February 2012, a group of 16 dolphins were regularly present there. The hope is for the movement to demonstrate the beauty of the dolphin-human interaction to other Japanese islands, where killing these highly intelligent beings for meat still take place. Today, a daughter project called “Oceanic Dolphin-Human” is called to use dolphin-human communication as a means of raising awareness of the importance of life (conservation).